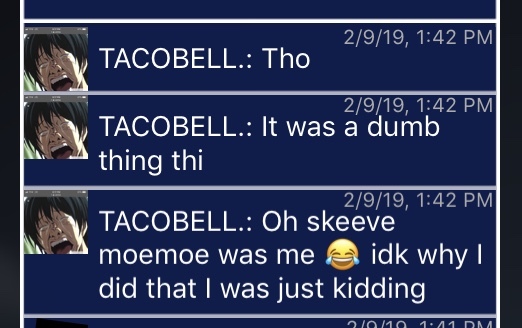 So apparently Tacobell is Moemoe and was pranking us. I captured his IP in a screenshot and will PM you if you would like to cross check it with Moemoe’s (provided that Moemoe even exists in BH). Please see the guidelines for this community. We do expect all our members to be courteous and respectful towards one another.